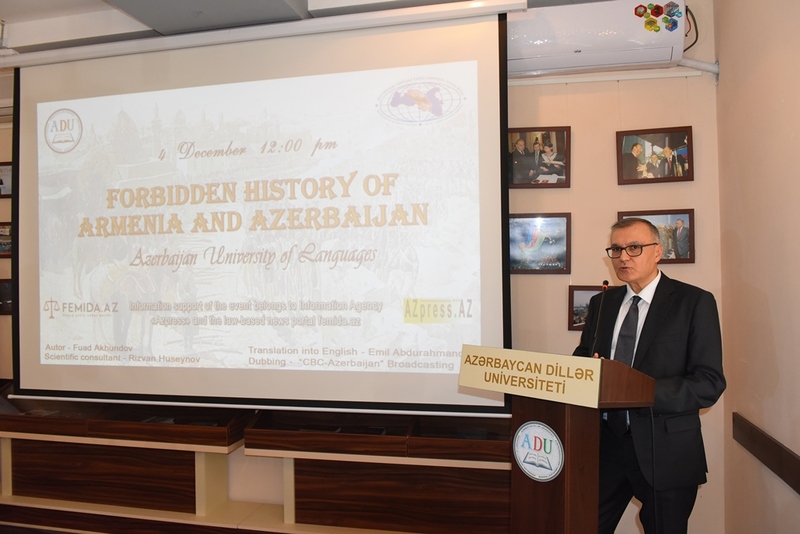 On December 4 the Roundtable due to the presentation of the documentary film “Forbidden history of Armenia and Azerbaijan” in English was presented at the Azerbaijan University of Languages. The author of the film is Fuad Akhundov, the scientific consultant is Rizvan Huseynov and the film was translated into english by Emil Abdurahmanov, dubbing – “CBC - Azerbaijan” Broadcasting. 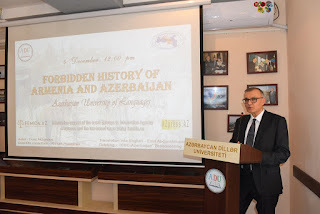 The documentary film has been made by the Center for the History of Caucasus at the Institute of "AZER-GLOBE." 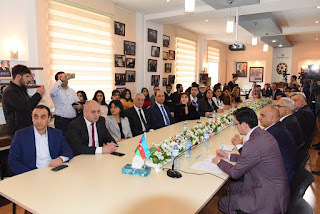 The film reveals historical-ideological misrepresentations against Azerbaijan and Azerbaijanian people as well as number of historical falsifications of Armenian propaganda through maps, movies, episodes and the rare archival materials of Russia, Turkey, Georgia, and other countries. 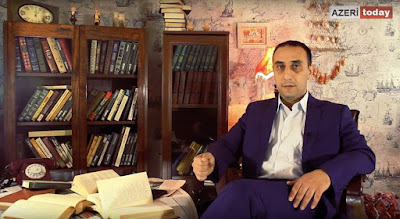 Based on rare archival materials, maps, movies and photo frames of the USA, Great Britain, Russia, Turkey, Georgia and other countries collected in the film, it was proved that today's Armenia and its capital Yerevan are ancient Azerbaijani lands - the Iravan Khanate, and a number of historical myths of false Armenian agitation, historical and ideological falsifications used against Azerbaijan and its people. The following officials took part in the Roundtable Fuad Akhundov – Head of the Administration Sector of the President of Azerbaijan Republic, Rizvan Huseynov - Senior Researcher of the Institute of Law and Human Rights of ANAS), Umud Mirzayev - President of the International Eurasia Press Fund, Dilara Afandiyeva - Director of the Armenia-Azerbaijan Peace Platform, Oleg Kuznetsov - Russian historian and lawyer, and the other officials. Dubbing – “CBC - Azerbaijan” Broadcasting.